Brantley signed a contract with the Redskins on Monday, Jake Kring-Schreifels of the Redskins' official site reports. 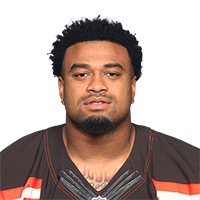 Analysis: Brantley was waived by the Browns over the weekend after registering 18 tackles and two sacks in 12 games last season, his rookie campaign. He has a chance to crack the defensive rotation, although it's more likely he'll take on a special teams role over the first few weeks at minimum. Brantley had one sack and one pass defensed in Thursday's preseason game against the Eagles. Analysis: Brantley was previously dealing with an ankle injury but led the Browns defense with 35 snaps Thursday. Brantley will try to take advantage of injuries to Trevon Coley (ankle) and Larry Ogunjobi (shoulder) to earn a spot on the 53-man roster. Brantley has an ankle injury and did not participate in Monday's practice, Scott Petrak of the Elyria Chronicle-Telegram reports. Analysis: Brantley missed some time earlier in training camp with a thigh injury, although that proved to be a minor issue. The severity of the ankle injury is not yet known. Brantley (thigh) returned to practice on Monday, Nate Ulrich of the Akron Beacon Journal reports. Analysis: Brantley, who was carted off the practice field last week, appears to have recovered from his leg injury. The 2017 sixth-rounder stands to immediately return to his role as a depth defensive tackle. 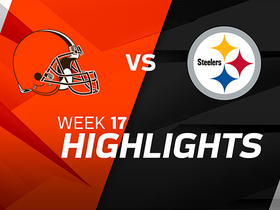 Head coach Hue Jackson said Brantley (thigh) "should be fine," Scott Petrak of the Elyria Chronicle-Telegram reports. Analysis: Brantley was carted off the field last week, but it doesn't appear to be as bad as it seemed. Jackson even speculated it may have just been cramping, which shouldn't keep him sidelined long. Brantley is expected to be a depth defensive tackle again this season. Brantley was carted off with an apparent leg injury during Thursday's practice, Mary Kay Cabot of The Cleveland Plain Dealer reports. Analysis: Though he had to be helped to his feet by trainers and was subsequently carted off, coach Hue Jackson later said Brantley may have just had some cramping, though the official diagnosis has yet to be provided. The 23-year-old defensive lineman played in 12 games last season and is slated to back up Trevon Coley. 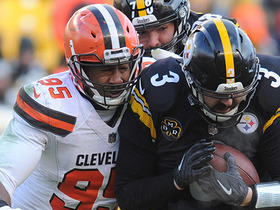 Cleveland Browns defensive end Myles Garrett strip sacks Pittsburgh Steelers QB Landry Jones, Browns defensive tackle Caleb Brantley snags the recovery.